Product code: 628 Categories: Sold Items, Sold Rolex Watches. 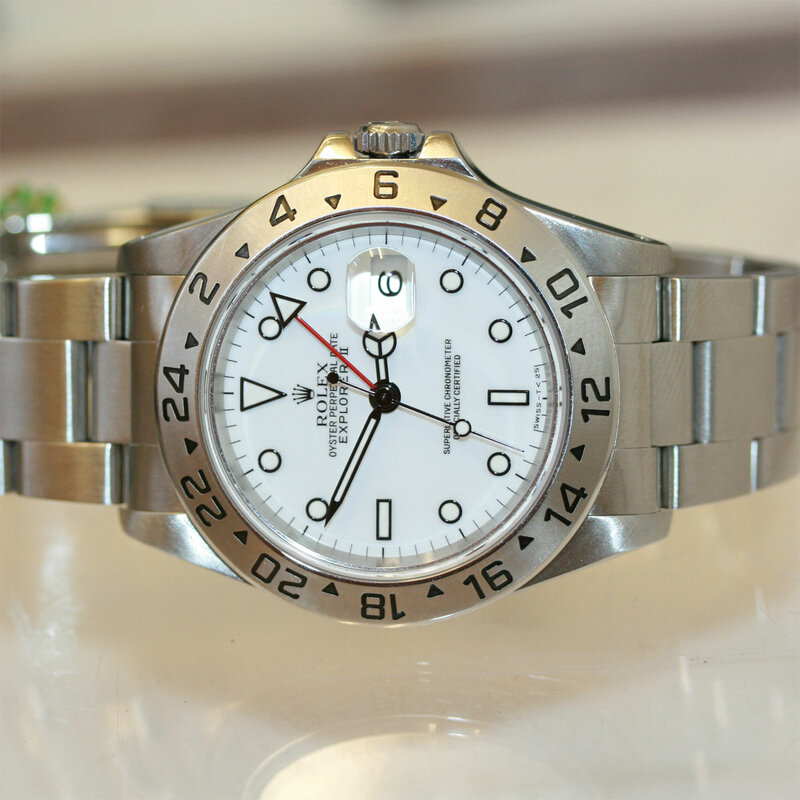 This is the Rolex Explorer II reference 16570 with the white dial and made in 1998. 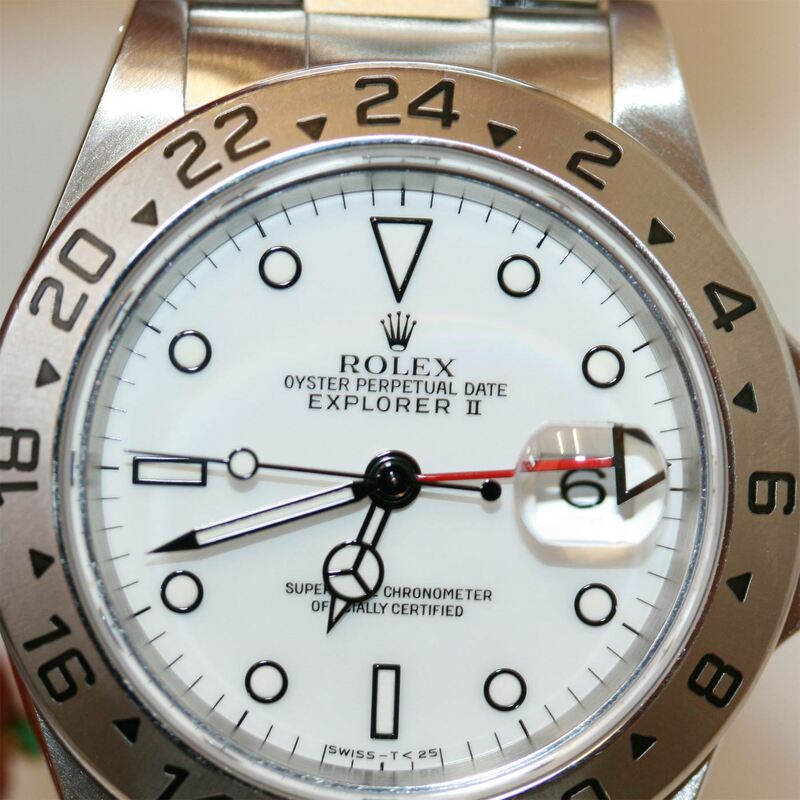 The Rolex Explorer is one model that has such a great solid look about it. Classic styling combined with a masculine sport look, makes this a Rolex to consider owning. Made in stainless steel with a flip lock bracelet and fully jewelled Chronometer rated automatic movement, it is also fitted with the sapphire scratch resistant crystal for extra durability. The case measures 40mm – perfect for day or night time wear. A very handsome watch that will be enjoyed and worn with pleasure. Maker and model: Rolex Oyster Perpetaul Date Explorer II – model 16570.